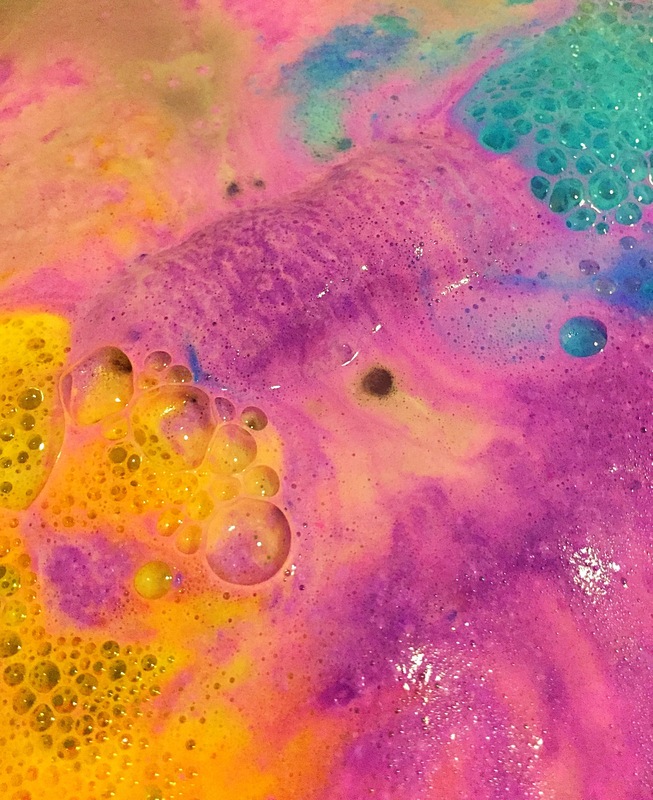 The Northern Lights bath bomb was originally released back in 2014, however this year this much loved bath bomb has had a little bit of a make over. The bath bomb now features a much more sturdy and unbreakable design compared to its original fragile stick like shape. Sporting the same vivid purple colour the Northern Lights is a rather bright and colourful product with one end featuring a splash of yellow and the other a splash of blue. 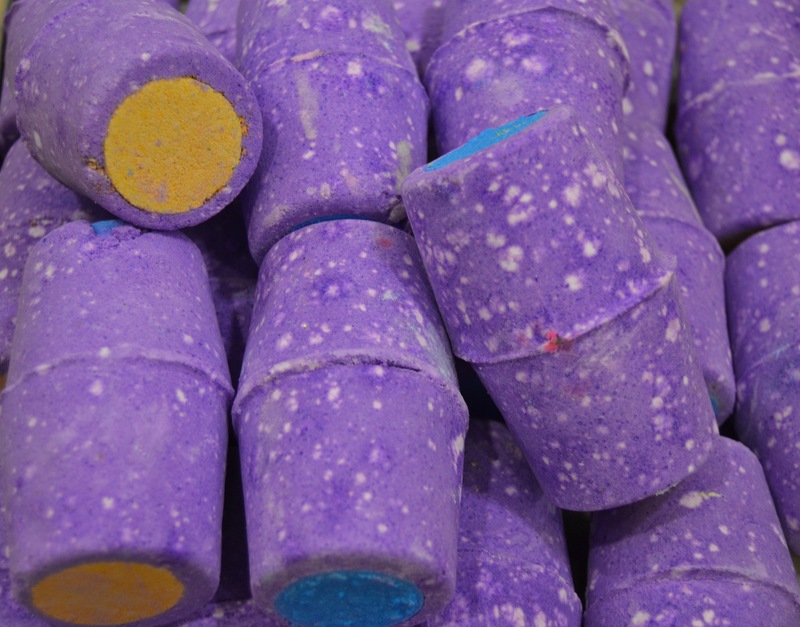 This bath bomb will really catch your eye and of course remind you of the beautiful Northern Lights. Featuring jasmine absolute and ylang ylang oil the Northern Lights bath bomb has a wonderfully sophisticated floral scent. This indulgent scent is very comforting and uplifting making it perfect for relaxing you over the festive period. 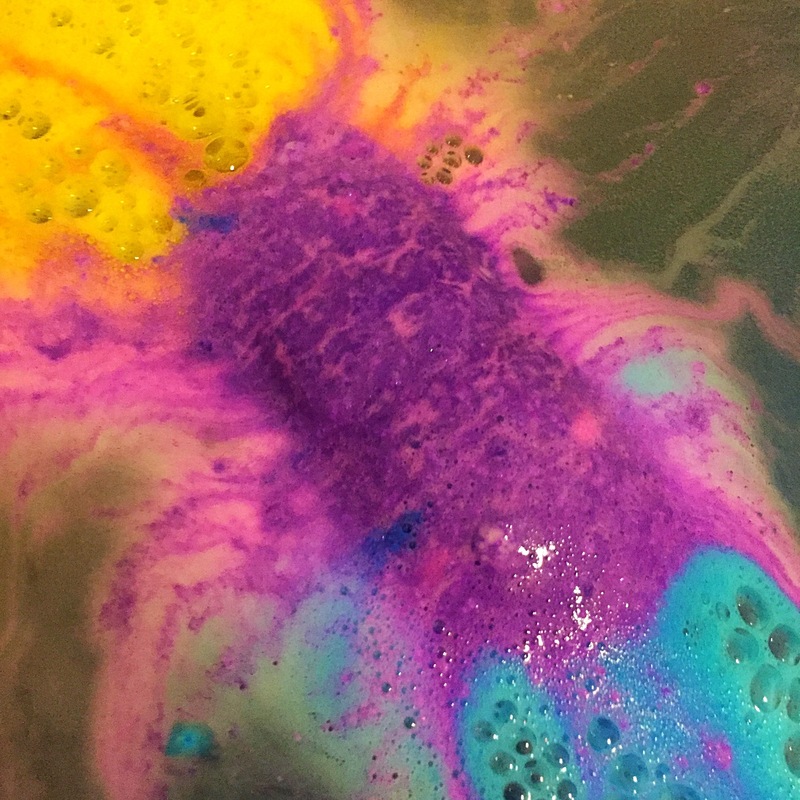 I was very excited about retrying the Northern Lights Bath Bomb to see if it was just as spectacular as its old design. Once in the water this is when the magic really happens. If you like a bit of bath art you will love this bath bomb. As soon as it hits the water it creates an array of purples blues and yellows across the surface of the water creating super pretty swirls of colour. 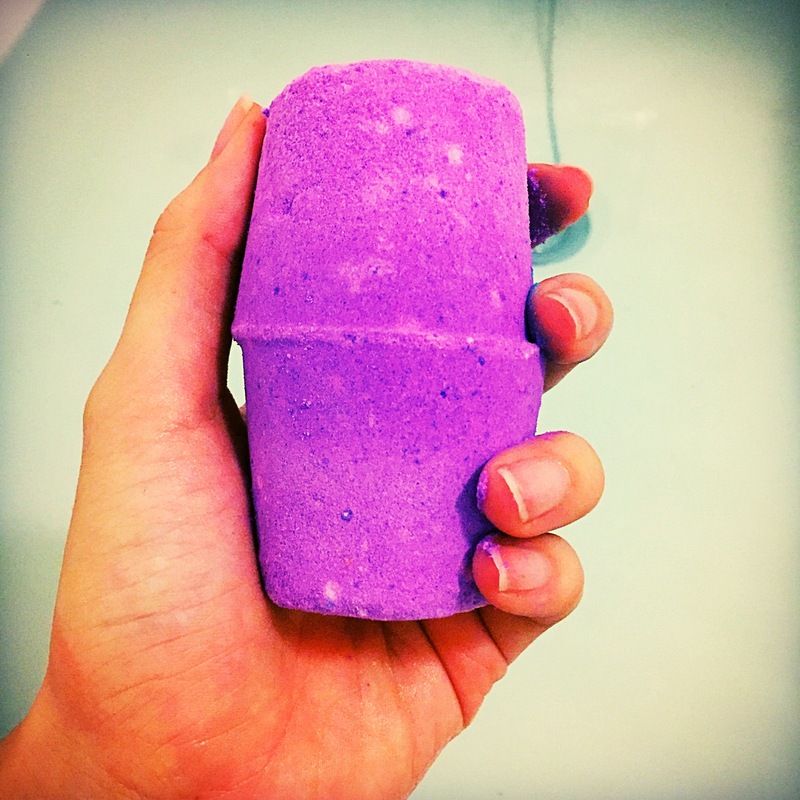 Overall I was really impressed with the bath bomb and I do think the New design of the Northern Light bath bomb really is much better. If you love your floral scents and your bright bath water this is defiantly the bath bomb for you.